Ever wondered how Capital One Bank or other banks got access to your home address by mailing you prescreened (or pre-approved) Credit Cards? Ever intrigued by how you keep getting those mail-in offers from companies that you have never heard of? Did you get calls from marketing agencies trying to sell you a product that you have no idea what it is? These are usually not scams. They are allowed under Fair Credit Reporting Act (FCRA) of the United States. 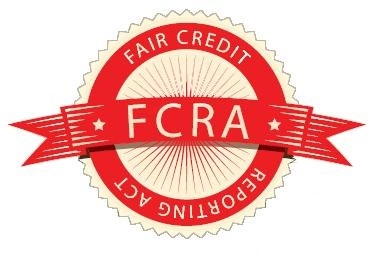 Under the FCRA, the Consumer Credit Reporting Companies are permitted to include your name on lists used by creditors or insurers to make firm offers of credit or insurance that are not initiated by you (Source: Optoutprescreen.com). As an example, when you open a bank account or applied for a credit card, some of your information including name and address are pooled in the "Marketing List" - this list is shared among companies interested in making offers to you such as credit cards. According to Federal Trade Commission, prescreened offers can help you learn about what's available, compare costs, and find the best product for your needs. Because you are pre-selected to receive the offer, you can be turned down only under limited circumstances. The terms of prescreened offers also may be more favorable than those that are available to the general public. In fact, some credit card or insurance products may be available only through prescreened offers. You could put an end to mail solicitations for credit and insurance offers by going to www.optoutprescreen.com or call 888-567-8688. You will be opt-out for the next five years. However, if you want to opt-out permanently, you need to fill and mail Permanent Opt-Out Election form available on their website. When you call or visit the Website, you will be asked to provide certain personal information, including your telephone number, name, social security number, and date of birth. The information you provide is confidential and will be used only to process your request to opt out. The federal government's National Do Not Call Registry is a free, easy way to reduce the telemarketing calls you get at home or on your cell phone. To register your phone number or to get information about the registry, visit www.donotcall.gov, or call 1-888-382-1222 from the phone number you want to register. You will get fewer telemarketing calls within 31 days of registering your number (Source: Federal Trade Commission). If you get a call after 31 days, you can file a complaint at the same Website. It is important to note that removing your name from prescreened lists has no effect on your ability to apply for or obtain credit or insurance in the near future. Also, you can Opt-In anytime. If you register with the above three opt-out options, you will receive no or less solicitation mails and calls. However, how about ads you get on your webpages such as Facebook page? 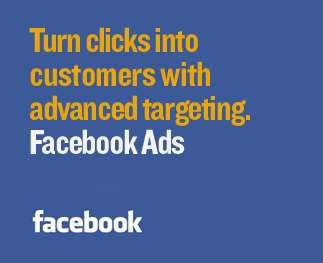 Did you notice the ad that shows up on your Facebook page are the ones you recently viewed? For instance, if you are shopping for a car, you will see a lot of car ads on your Facebook page. To put it simply, these ads are customized to your recent online behaviors. Scary! Isn't it? According to Online Behavioral Advertising, some of the ads you receive on Web pages (including Facebook) are customized based on predictions about your interests generated from your visits over time and across different Websites. This type of ad customization - sometimes called "online behavioral" or "interest-based" advertising - is enabled through your computer browser and browser cookies. Again, you have a right to opt-out from these online behavioral ad tracking system. As of this date, there are 116 participating companies who were interested in online behavioral advertising. You can opt-out from some or all of these companies by going to this site http://www.aboutads.info/choices/ if you are in the United States; http://youradchoices.ca/ if you are in Canada; or http://www.youronlinechoices.eu/ if you are in Europe. You only need to opt-out once to take care of this customized online behavioral advertising. Read also: Why is it important to file Tax Returns? the Consumer Credit Reporting Companies are permitted to include your name on lists used by creditors or insurers to make firm offers of credit or insurance that are not initiated by you (Source: high risk merchant processing).